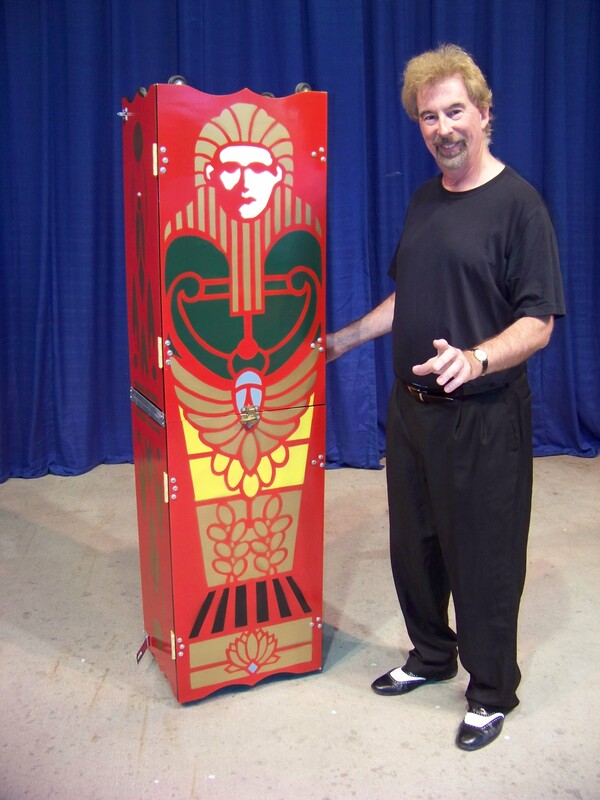 David Seebach brings his ‘Wonders of Magic’ show to Polish Fest at 7:00 pm on Friday and Saturday, June 15th and 16th. 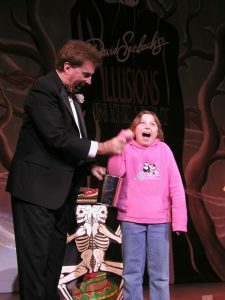 Seebach remains a popular entertainer because he constantly alters his magical repertoire so spectators are assured that there will be new surprises. It might be a brand-new magic act for the illusionist, or it might be something that has not been seen for awhile. Seebach dusts it off, perhaps giving it a new twist, and then presents it with his usual unique style of smooth showmanship. Pictured above is the very rarely-seen Divided Lady illusion. You’ll want to see what happens to a beautiful Egyptian princess who will get shackled inside this cramped mummy case. Both youngsters and adults will have an opportunity to join David onstage for a ‘hands-on’ magical experience during the shows. Seeing the surprised reactions of these young helpers is always entertaining. Magicians are expected to present card tricks, but they are difficult to see in a stage show and so many just seem like variations on a too-often-seen theme. Polish Fest audiences will shake their heads in amazement at a feat of magic with a deck of cards and two spectators that Seebach believes could be just about the best magic with cards in the world. It builds to a mind-blowing conclusion. This may be the most popular stage illusion from the late 1960s and through the 70s, but you hardly ever see it performed anymore as many magicians think they must have only the newest thing to show off with. But magic, like music, has classics and the Zig-Zag Lady will certainly be known as one of the 20th century’s greatest magical innovations. After a long absence, come witness this fooler again… or for the first time. Of course there’s much more to the ‘Wonders of Magic.’ The show is designed to appeal to all ages.Children love it, but plenty of adults attend, too, because they know that David Seebach has a knack for captivating everyone in the crowd. For more Polish Fest information go to www.polishfest.org.